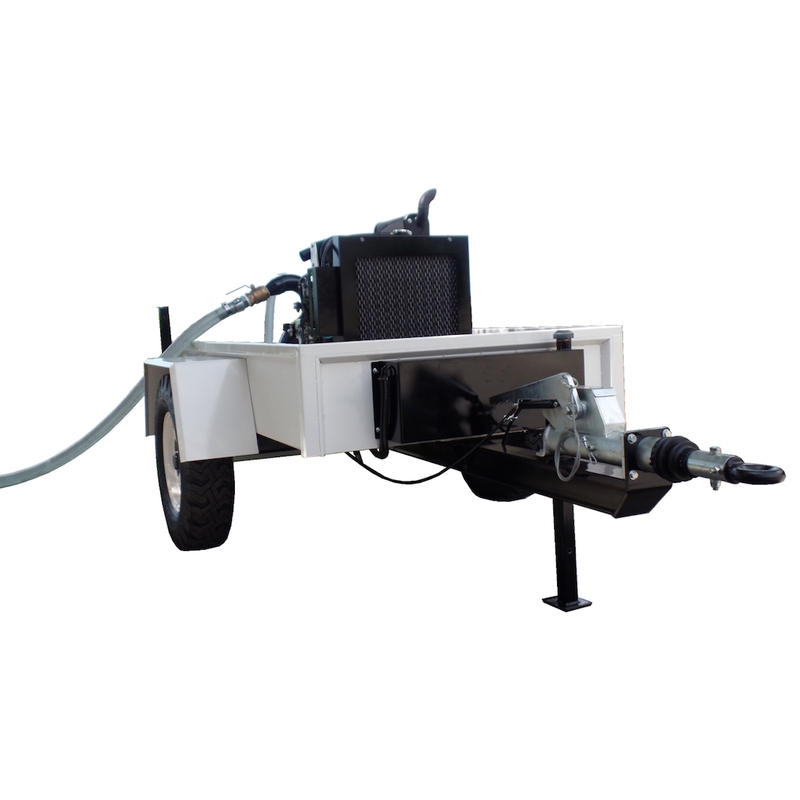 Drilling soft geological formations ‘mud circulation drilling method’ is used. A mix of water and thickening additives are pumped down inside the drill pipe to wash drill cuttings to the surface – the water/mud column in the borehole also effectively supports soft and saturated formation from collapsing. 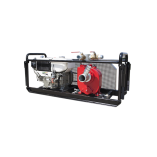 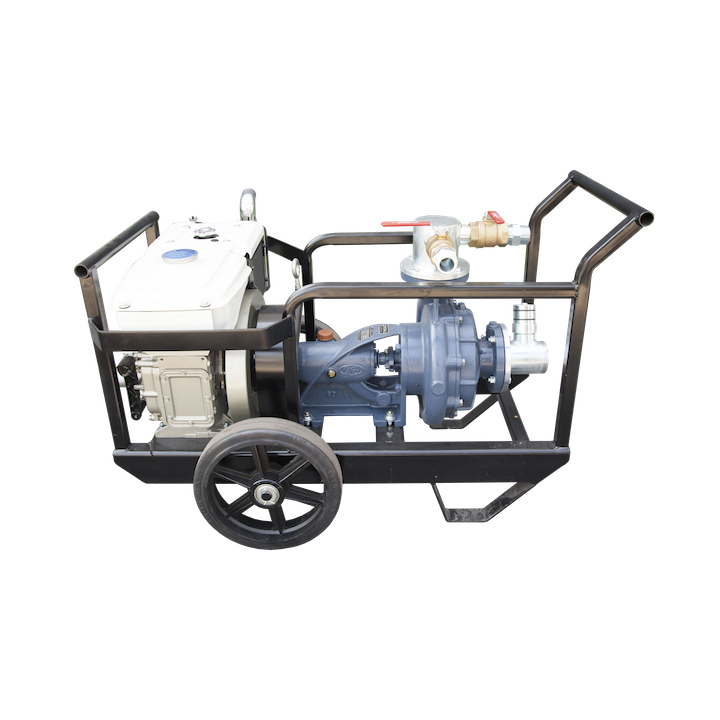 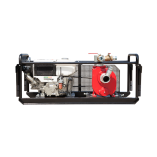 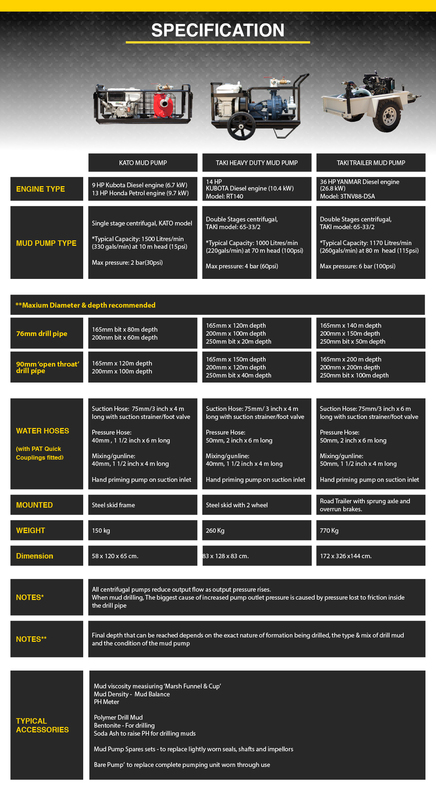 PAT have a standard range of pumps that can be applied to any model of PAT Rig. 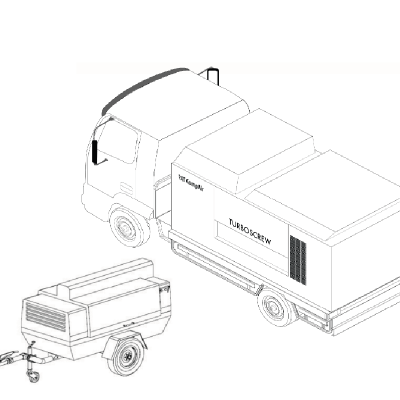 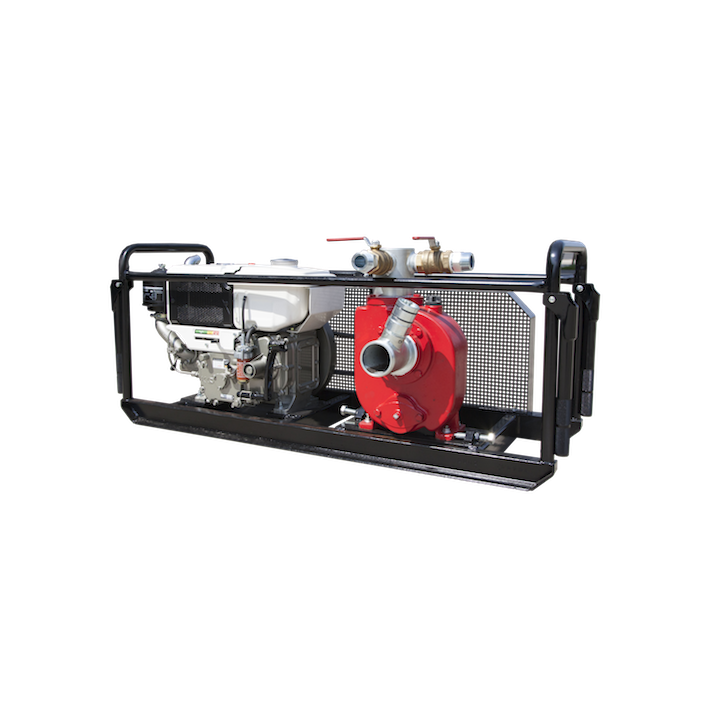 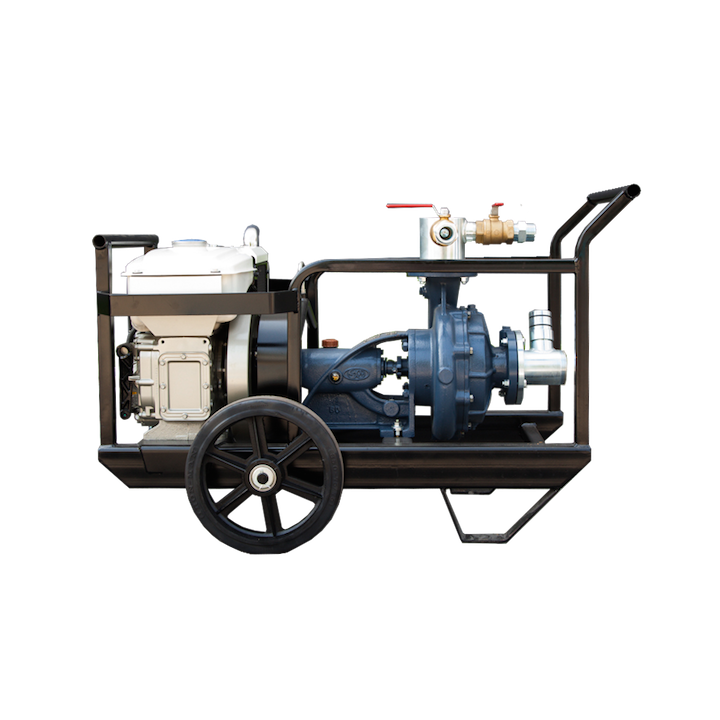 A dedicated borehole development compressor can be used in place of the main drilling compressorin order to free up the main compressor and drilling rig, for move on to the next drilling site. 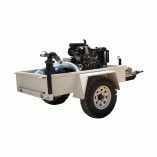 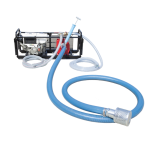 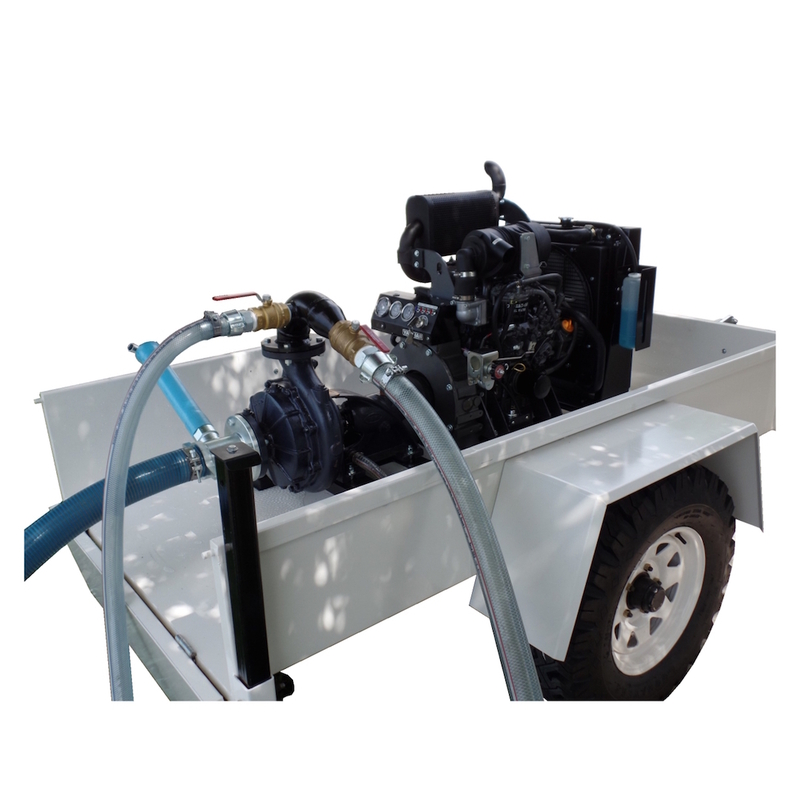 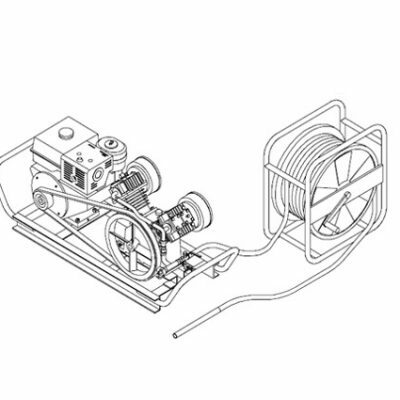 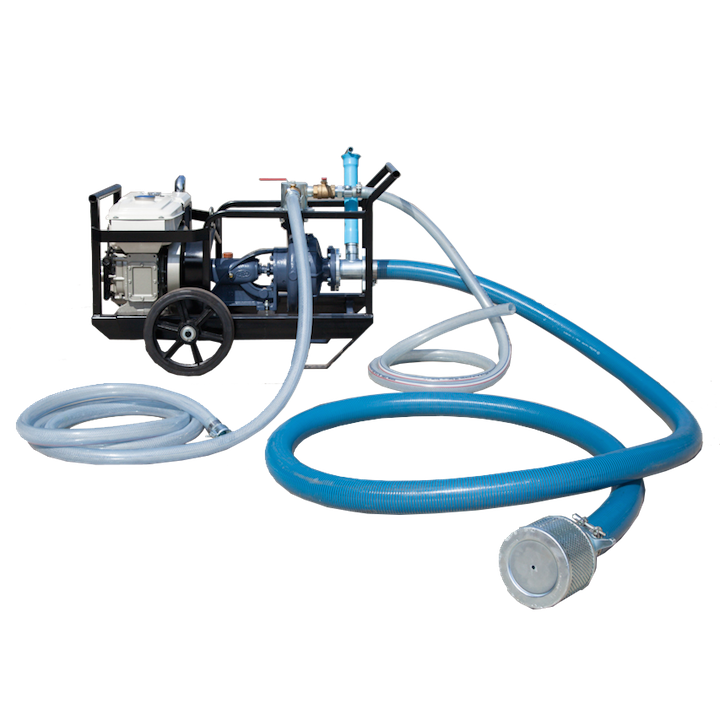 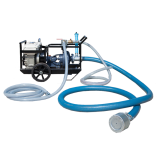 PAT offers a borehole development compressor with a flexible hose system on a steel reel and stand. Drilling pipes and threaded accessories are provided with all our rigs, manufactured by PAT in our facilities located in Bangkok (Thailand). 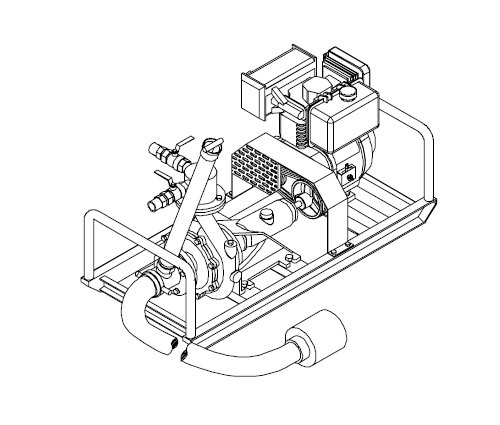 All threading are automated by CNC machinery, tailor made to suit specific lengths and sizes for special requirements. 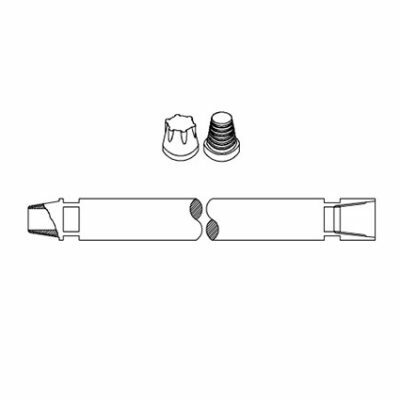 All drilling pipes are provided with thread protectors also made in house.